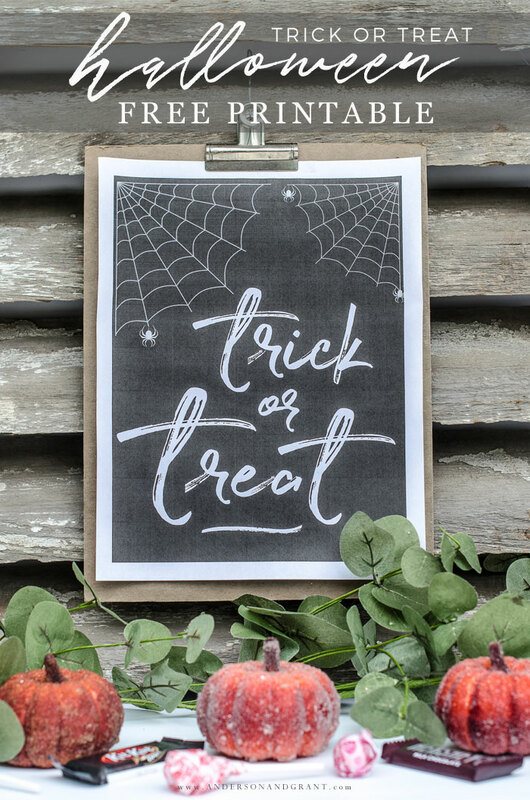 Whether you go full out haunted house or just need a few decorations to welcome neighborhood trick or treaters, today's post is for you. 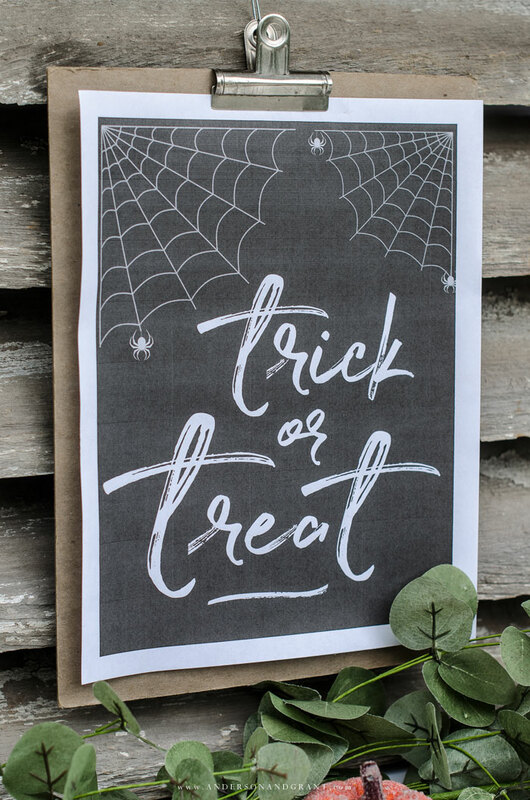 I'm joining in with a group of friends who are each sharing a Halloween printable with you to decorate your home or your holiday treats. 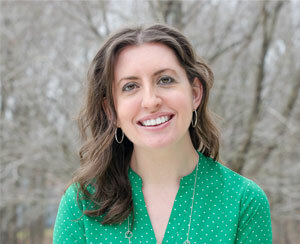 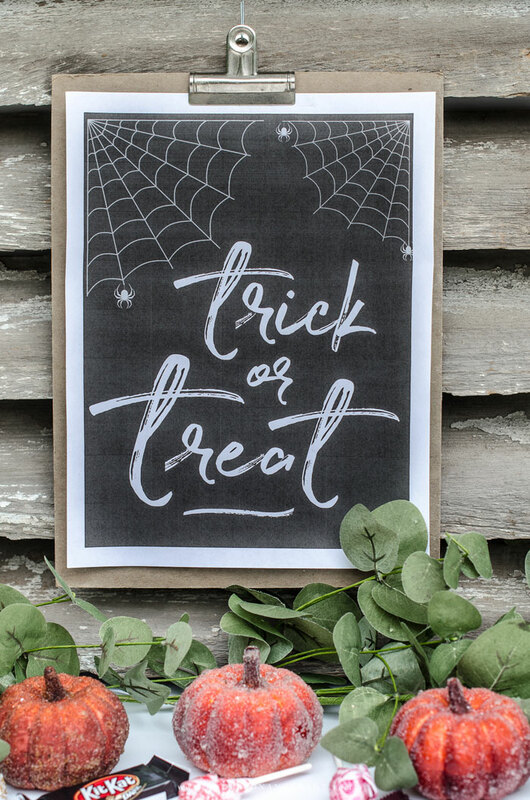 Links to everyone's creations are at the end starting with our host Kristen from Ella Claire. 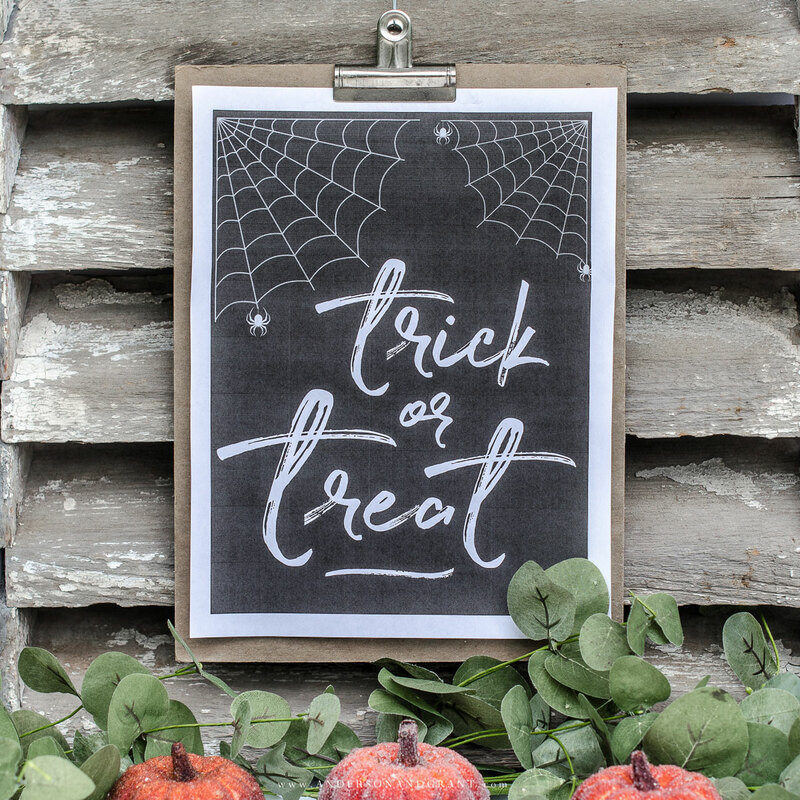 My printable sign can be framed or just hung up like I did here by attaching it to a heavy piece of cardstock with a vintage binder clip. 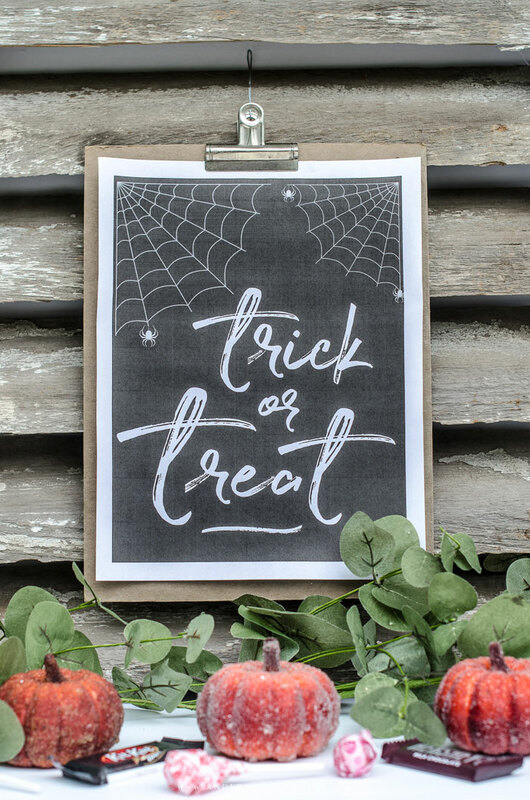 Add a few sparkly pumpkins with your Halloween candy and you're all ready for whomever comes knocking at your door this year! 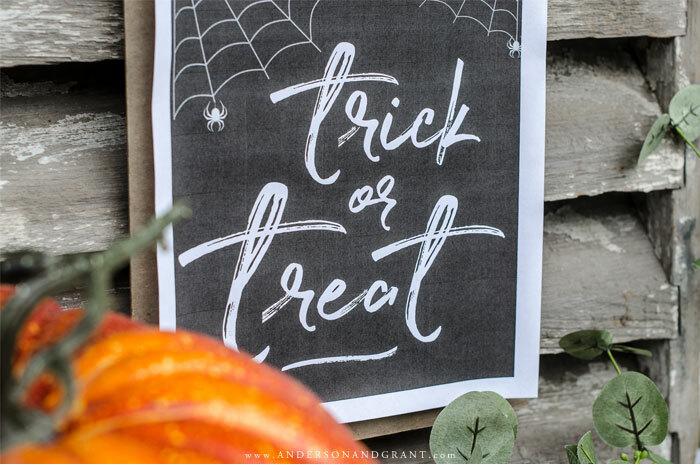 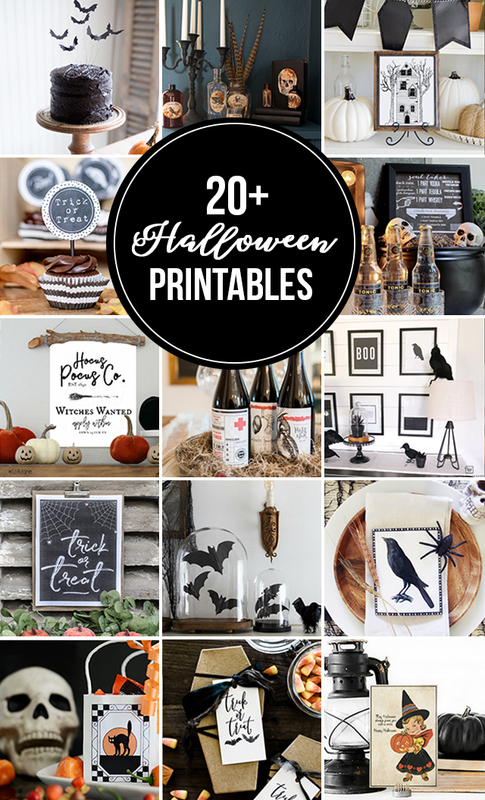 Be sure to visit some of my friends below to see the lovely Halloween printables they've created to share with you.